While Israeli Jews mark Independence Day with fireworks and barbecues, the flags that sprout everywhere in Jewish areas will be absent from Arab towns, and the thoughts of many there will turn to what they term the “Nakba” (catastrophe) that they associate with Israel’s birth. Part of a third of Israel’s Arab population is comprised of people (and their descendants) who became internally displaced from their villages and towns during the War of Independence. Some Arab citizens will visit the sites of destroyed villages in the morning before joining in a symbolic “March of Return” in the afternoon. The fact that this year marks 70 years since those events makes it a particularly poignant occasion for introspection and taking stock. In the run-up to this emotionally charged day, The Jerusalem Post spoke with two prominent Arab citizens who are intellectuals and activists in order to get their diagnosis of the status of the Arab minority today and what, in their view, needs to change. Thabet Abu Rass has a challenging job. As co-director of the Abraham Fund Initiatives, he plays a key role in the hard hands-on work of advancing the integration and equality of Israel’s Arab citizens, who make up a fifth of the population but have traditionally been marginalized in Israeli society. His agenda is one of attaining change in the partnership with Jewish Israelis, often focusing on the micro but always with the larger goal of creating a more inclusive and just country. For example, he has spearheaded a program for developing cultural sensitivity toward Arabs at Israeli universities to make them feel more at home on campus. His organization has been a driving force in promoting safer Arab communities and building trust with the police. In a country where education is largely segregated, Abu Rass backs programs that give Arabs and Jews a chance to get to know each other, linguistically and otherwise. In his interview, he paints a complex but mostly unsettling picture of the status of the Arab minority. Given his distinguished status, his remarks should serve as a wake-up call regarding a key fracture in Israeli society. Abu Rass, 63, hails from Kalansuwa, 13 kilometers east of Netanya, and Independence Day reminds him of his mother’s family’s displacement to the Gaza Strip in 1948 and of the so-called Nakba in general. Some 700,000 Palestinians were displaced or fled from what became Israel. The remnant that stayed in the country became citizens of the new Jewish state, though they faced discrimination and until 1966 lived under military rule. It is complex to be an Arab citizen of Israel, and Abu Rass identifies as being simultaneously Palestinian and Israeli. He insists one identity does not negate the other. But he qualifies the praise by saying that on major issues related to him, the country is deteriorating. He is alienated by what he calls the high degree of militarization in Israel, including of Independence Day. Abu Rass has solid credentials for making an assessment of the Arab minority’s standing and for diagnosing majority-minority relations. He holds a doctorate in geography and regional development from the University of Arizona and is an expert on planning issues. He has served as co-director of the Arab-Jewish Center for Dialogue and a Shared Society, headed the Negev office of the Arab legal advocacy group Adalah and was co-chair of the board of Hand in Hand, the bilingual schools in University of the Negev and Sapir College on ethnic relations, land and planning. FIRST THE plus side. Arab citizens are “more integrated” than ever, with a record number – 47,000 – studying in Israeli universities, he says. There are more Arab doctors, nurses and pharmacists than ever before. A quarter of Rambam Hospital’s doctors are Arab. Even four out of 11 players on the national soccer team are Arab. In a separate positive development, the government is finally allocating big money for Arab municipalities, with a NIS 10 billion to NIS 15b. plan authorized in 2015 beginning to kick in. Abu Rass says the plan is “unprecedented in scope” and notes that it came out of dialogue with the Arab leadership in the Knesset and municipal leaders. But despite this gain, he says that the rhetoric and policies of Prime Minister Benjamin Netanyahu’s government are pressing upon, alienating and harming the Arab minority, Abu Rass says. “We feel there’s an attack against our rights, our citizenship,” he says. The nation-state bill, which critics say favors the Jewish aspects of Israeli statehood over democracy, and the muezzin bill to impose new regulation of the volume of the amplified Muslim call to prayer are examples of how the state is going in the “negative direction,” he says. “Israel is defined as a Jewish and democratic state and nowadays there is an effort to enhance the Jewishness of the state. All indications are that this will shrink the status of my citizenship,” he said. “Israel as a Jewish and democratic state should stand by the principles of the Declaration of Independence that over time it is moving away from. It should stand for equality of all of its citizens. With the 70th anniversary coming up, Arab citizens are comparing their situation to 10, 20 and 30 years ago. “It seems to us that the state is trying to disconnect from us,” he said, adding that Arabs had felt more as partners during the years of prime minister Yitzhak Rabin and the Oslo agreement. TO ADDRESS the maladies, Abu Rass says the government should take advantage of the anniversary to put forward a five-year plan for “building a shared society in Israel. This should bring Jews and Arabs together to fight racism and incitement against Arabs and to establish a ministry of shared society.” The ministry will not only foster relations between Arabs and Jews but also seek to improve relations within each community, he says. Change can be achieved in Israel either by “restructuring the whole system” or by “making some reforms of the existing structure.” He says that Arabs should be represented in realms where they are currently absent or under-represented. The Israel Lands Authority, for example, does not have any Arab representatives at all. Abu Rass does not believe that change depends entirely on the government and the Jewish side. Arabs have to begin “thinking out of the box.” For example, they need to start building coalitions and partnerships with the haredim. Toward this end, he is planning a tour for Arab MKs of haredi neighborhoods in Jerusalem. “The haredim have a lot of similarities with the Arab community. The two are the poorest communities in Israeli society, with the highest unemployment rates and the lowest contribution to GDP. Arab and haredi municipalities together occupy the lowest socioeconomic clusters, he notes. “In the fight for equality there are a lot of shared interests for haredi Jews and Arabs,” he says. Abu Rass also envisions Beduin municipalities in the Negev building coalitions with Likud mayors there. “It’s a local interest to develop the Negev for the benefit of all citizens,” he says. On the core issue of the conflict, Abu Rass seems to have found a good way of reconciling his Palestinian and Israeli identities. While seeking “justice” for his mother’s family, which was expelled and ended up in Jabalya, Mughazi and Rafah refugee camps in Gaza, he accepts the idea of Jewish self-determination in Israel alongside an independent Palestinian state. “As a citizen of Israel, I will always demand full equality with the Jewish citizens,” he says. He believes Palestinian refugees should become citizens of a future Palestinian state in the West Bank and Gaza and does not dream of transforming Kibbutz Zikim and Kibbutz Karmiya, south of Ashkelon, back into his mother’s destroyed village of Hirbia. One alleged injustice should not be solved by inflicting another, he insists. But he believes that his Gaza relatives should have the option of living in Israel as permanent residents, just as settlers should be able to stay in the Palestinian state. “Two states, one homeland” is the nascent movement in which he is active. In Sami Abu Shehadeh’s favorite café in Jaffa, there are black-and-white pictures of life there before 1948: the clock tower with horse and buggies around it, fellahin (peasants) harvesting Jaffa oranges and women handling a fishing net along the sea in 1932. An oud plays over the sound system. The sense of a lost, stolen past has been with Abu Shehadeh since his childhood. This Jaffa native, who is a central committee member of the hard-line Balad party and who served as a member of the Tel Aviv-Jaffa city council from 2010 to 2013, recalls as a child driving through the city with his grandfathers, residents of Jaffa who lived through the so-called Nakba. Abu Shehadeh’s soft-spoken tone belies what Jewish Israelis would consider a radical and subversive agenda that emanates from his emphasis on the past: he rejects all forms of Zionism as being part of a “settler-colonialist project” and wants to see Israel stop being a Jewish state and become a “state of all its citizens.” He calls for a “return” of all Palestinian refugees and descendants who want to come. While the stridency with which he makes the latter demand sets him apart, a survey released in March by University of Haifa sociologist Sammy Smooha indicated that opposition to the Jewish character of Israel is growing among Arab citizens and that there is a drop in the legitimacy of the state in Arab eyes. While 60.3% of Arab respondents accepted Israel as a state with a Jewish majority in 2015, only 44.6% did in the survey, taken from May to August 2017. Perhaps paradoxically, a clear majority of those surveyed continue to think that Israel is a good place to live – 61.9% compared to 64% in 2015. Those accepting Hebrew as the dominant language dropped from 63.4% in 2015 to 49.7% in 2017. Those accepting Israel having the Law of Return dropped from 39% in 2015 to 25.2% in 2017. The drop in the legitimacy of the state in Arab eyes was mirrored, and perhaps reinforced, by a drop in the legitimacy of the Arab minority in Jewish eyes. In explaining the hardening of Arab attitudes, Smooha faulted the government for, in his words, pursuing policies that give Arab citizens the feeling of being “politically persecuted,” including the nation-state bill and the muezzin bill and practices such as demolishing Arab homes when it is difficult or impossible to obtain building permits. In other words, to Smooha it seems that government policies and stances are spreading alienation among Arabs. Abu Shehadeh’s grandparents were among the minority that remained during the so-called Nakba but were scarred by it, he says. “They were born and raised in one place, that as a result of war changed in all things. 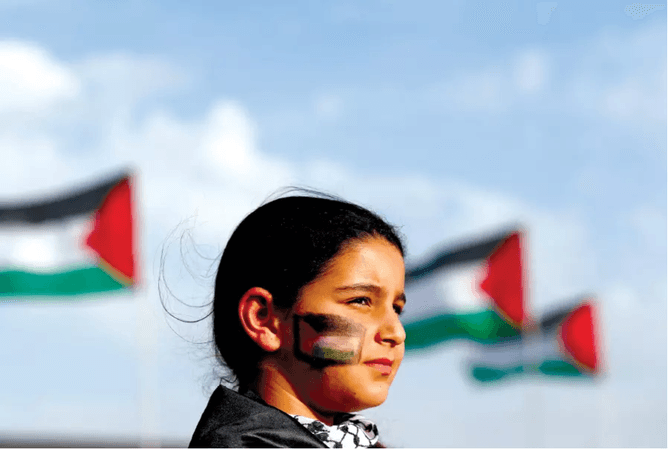 They were transformed from an indigenous majority to a minority in their homeland, and under the new state and society were not allowed to say they were Palestinian. They were changed from being in a place that spoke Arabic to one that speaks Hebrew. Your food changes, your ability to move from one place to another changes, the schools, the healthcare, the culture, everything. “When you say that all life details changed, people don’t understand how serious such a sentence is,” he added. Abu Shehadeh earned a doctorate in history from Tel Aviv University, writing about Jaffa as a cultural center during the British mandate. For him, the so-called Nakba is still going on. “It never stopped. Israel built itself on the ruins of the Palestinian people and until today in the official narrative there’s no Palestinian people and no Nakba happened.” In 2011, the Knesset passed legislation that enables the withholding of state funding to groups that commemorate the so-called Nakba as a day of mourning. Abu Shehadeh says that efforts by the Abraham Fund Initiatives to boost Arab representation in ministries or sectors can help individuals but do not really address the overall problem. Unlike Abu Rass, whose efforts to impact the future are based on Arab-Jewish partnership, Abu Shehadeh focuses his energies entirely on influencing Arab youth. He is head of an NGO, the Yaffa Youth Movement, that tries to help youths go into academic careers, including helping them get accepted to Israeli universities. He doesn’t see any contradiction between his rejection of Zionism and his aspirations for his people’s pupils to study at Tel Aviv University, established where the village of Sheikh Munis stood. “We are trying to build a young leadership for the Arab Palestinian society that believes in democracy and human rights and we are trying to empower this leadership through education,” he says.